Out with the old (crap) in with the new! Well, as many of you know, I have been working as a diamond diver in Alexander Bay since I completed my commercial divers course in August last year. I have quit that job as the money was not what people said it was. But good news is I have gotten work with J & C Diving : Civils and Salvage. Started there on Monday. 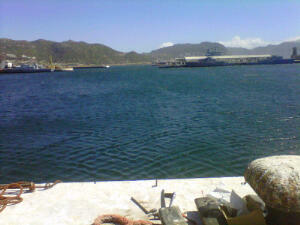 Been working in Simon’s Town Harbour doing repairs there, putting new fenders on the Dolphins. Hard work, but I enjoy it. It is a foot in the door as experience is needed.